Designed for networked environments for easy deployment, management and maintenance in a lineup including ultra-light to ultra-rugged laptops. Versatile technology needed in today's work environments, whether its in the office, at home or on the road. 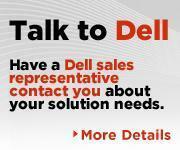 Dell can help guide you through your Windows 7 migration to make it as seamless as possible.